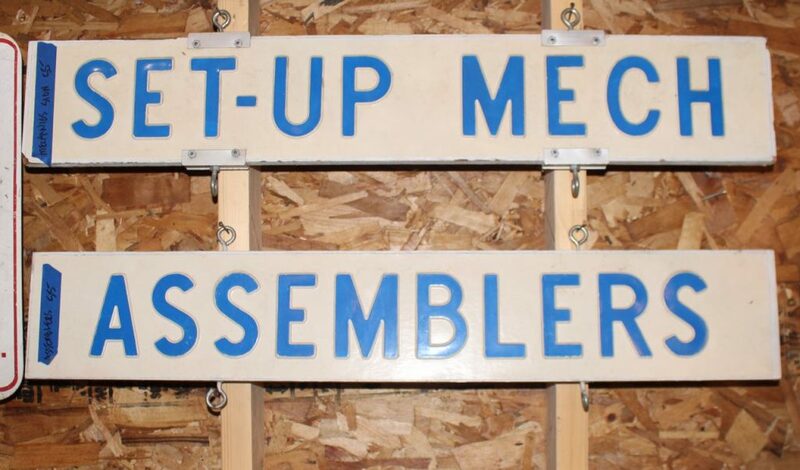 Perfect man-cave decor, these old factory signs are wooden with steel hardware. 8″ x 36″ Very good condition. Priced individually.